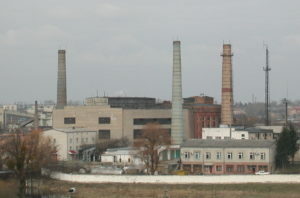 Ukraine’s high fossil fuel consumption contributes significantly to the production of high green house gas emissions. The project addressed key issues in the reduction of greenhouse gas emissions through large-scale improvements in energy efficiency in Ukraine’s communal heat supply sector. The following results were aimed at: (1) Capacity building to create the basis for systematic energy efficiency activities at the local level; (2) An integrated approach of supply and demand-side improvements to achieve maximum fuel savings and emissions reduction; (3) Attraction of external investment resources for an energy efficiency program in a pilot city; (4) Project-specific replication measures including development of relevant procedures, guidelines, information materials and their dissemination, and public awareness-raising through the involvement of NGOs, in particular those concerned with environmental and energy efficiency problems. Assist in the development of capacity building measures for decision-makers (city and regional level) in community based approaches.